While I understand where you're coming from, the reason the Nexus is zoomed in is because the Nexus "fakes" it's resolution in the web browser to about 603 so that responsive web pages render elements larger so they're easier to use on the Nexus 7. So the side by side photo is simply comparing the default view on load. In fact, this is actually somewhat of a negative for the iPad Mini on responsive sites because it means it's rendering pages designed for a much larger display. This is a big issue for me with the Ipad 2, and it will be the same with Ipad mini. When I try to use the Ipad2 as a productive device I often lose information I write because the webpages and apps has to reload when the device gets out of memory and have to free something to load the next app/webpage. And this has become much worse as the Ipad has aged, so it's terrible that they are selling a new device with only 512MB of RAM. Excellent review as always, balanced and informative. Now it's easy to understand why Apple wanted to ban the Galaxy Tab 7.7. 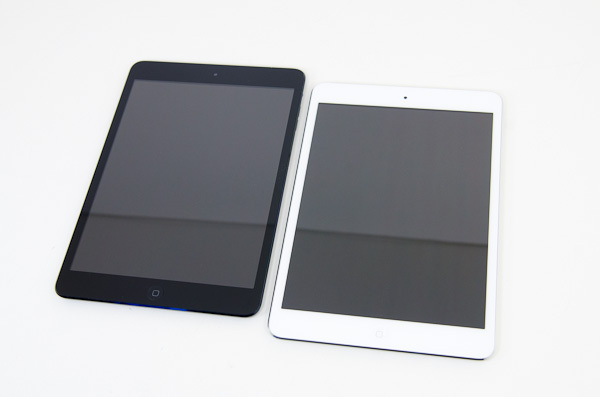 The iPad Mini is a rip-off of it. With a much worse display since the GT7.7 had a Super Amoled + display of superior resolution. Samsung was a year ahead of Apple and it still holds up great, if Samsung updated it to Jelly Bean. I would like to see a new Galaxy Tab 7.7.